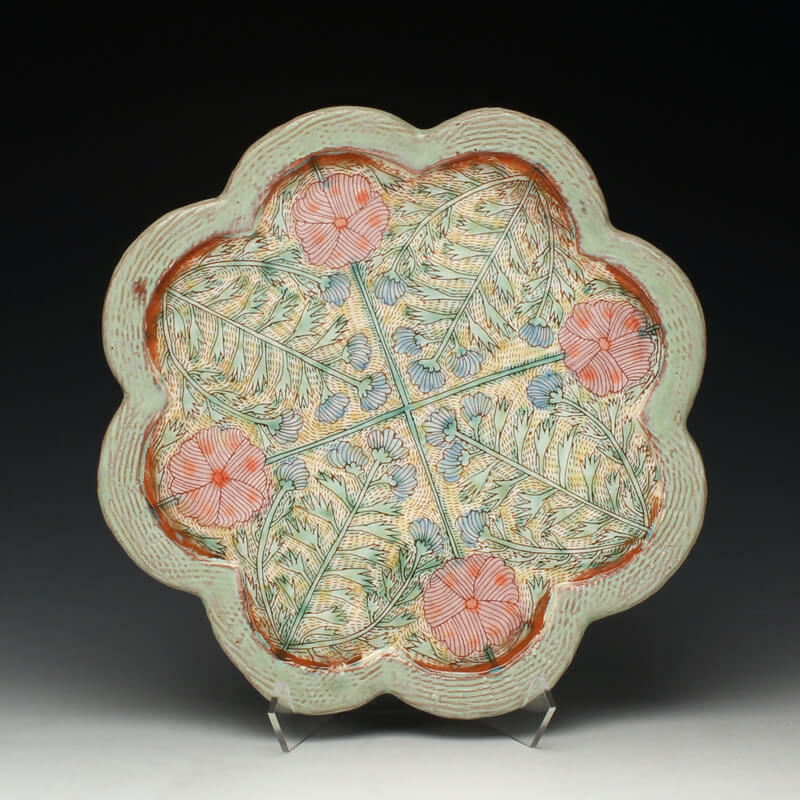 Today, the ceramic landscape is smeared with yellows, reds, oranges, pinks, and purples. These industrially processed colors have been here for decades, but their presence is different now. They surround us in saturated latex surfaces of colored porcelain and opaque glaze. As this commercial product pushes the earthy pot to the fringe, I am gathering a few dabblers and diehards of color for the exhibition “Stain.” These potters are invested in surface through pattern, line drawing, and mark making. Their relationships to color are unique, especially in terms of volume. Some want a deep bass sound and bury stain in the body while others are soft and float it across the surface in translucent washes. Participating Artists: Matt Kelleher, Shoko Teruyama, Lydia Johnson, Cory Brown, Andrea Gill, Michael Ashley, Matthew Metz, and Alex Zablocki.